The one-piece features removable softly padded cups supported by wide shoulder straps and cutout at the center and knot detail. Team yours with oversized sunglasses and embellished sandals for a summer-ready ensemble. I am a large and ordered an extra large just to be safe and the extra large fits great! Shows off lots more bum and tummy than expected but it’s super cute and fits pretty comfortably. 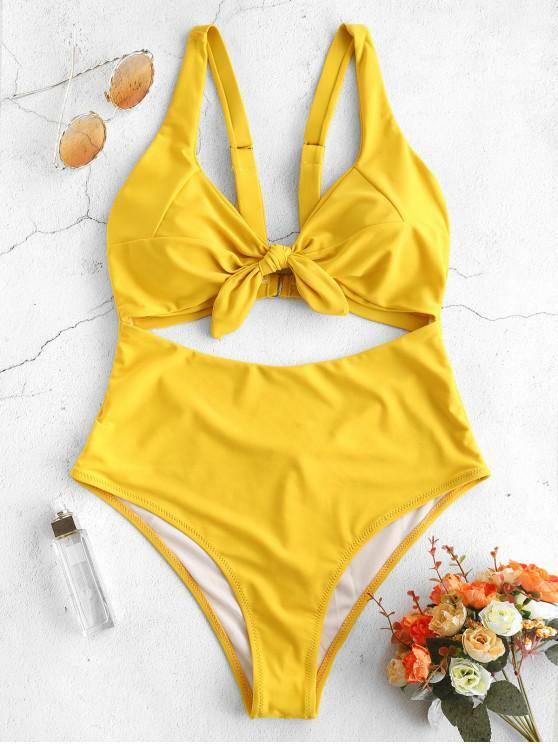 Es un traje de baño muy coqueto, viene amplio y recomiendo efir tu talla real. Amazing quality! Can’t wait to wear this!!! 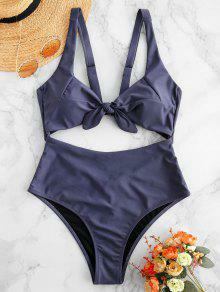 Love the bottoms of this swimsuit! Top doesn’t cover much & wouldn’t recommend for tubbing or surfing, but great for lounging on the beach or by the pool. I’m 5’ 2” & 125lbs and medium fits well.